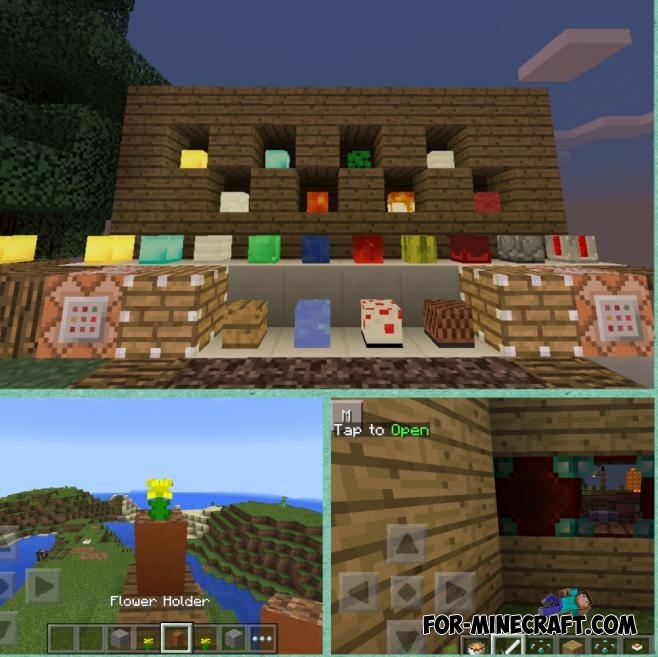 This mod adds to the game decorative blocks, such as flower pot, lamp, shower, etc. 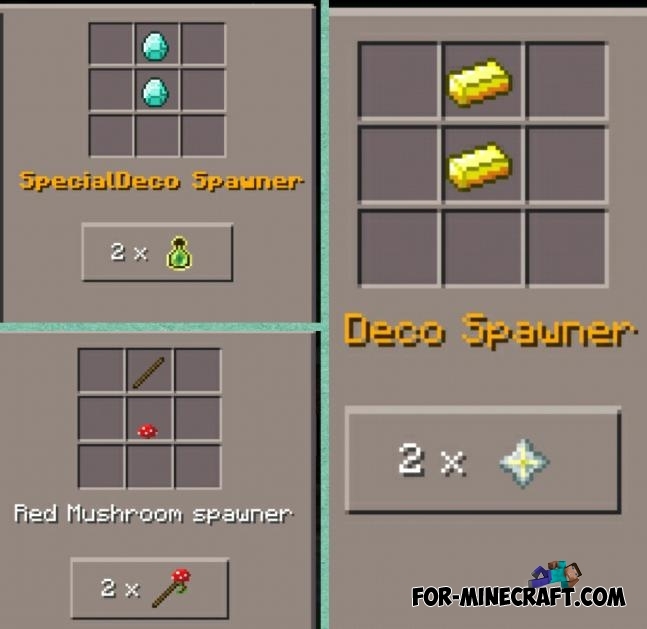 This mod adds the ability to make a compressed block of 9 normal, thereby save slots in the inventory. 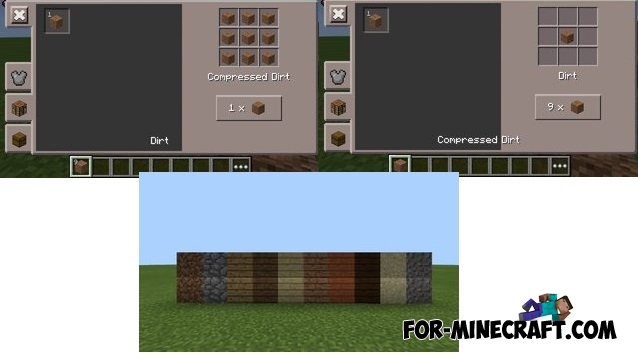 Minicraft texture [8x8] for Minecraft PE 0.11.1 / 0.11.0This is the original texture pack of MCPE 0.11.1, but compressed to 8 × 8. EmeraldCraft Mod for Minecraft Pocket Edition 0.10.5EmeraldCraft Mod - This mod adds the ability to create a decorative Emerald ore blocks, new tools (full set), as well as the opportunity to do a full set of armor of Emerald ore.